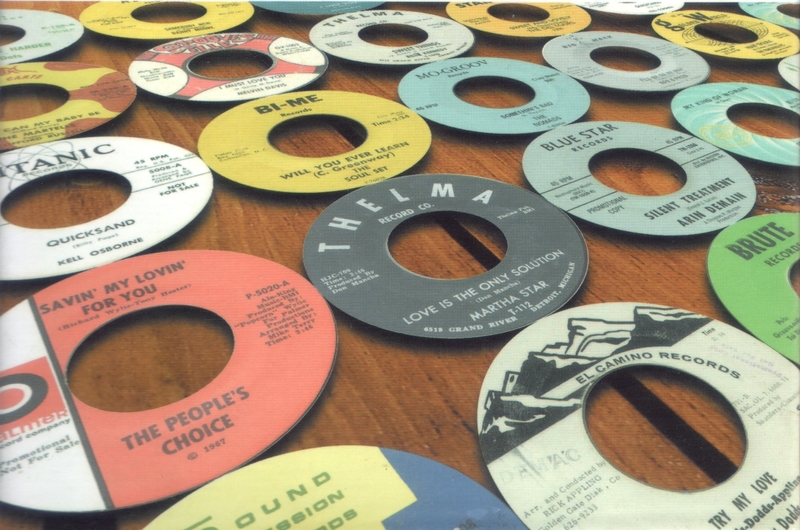 Rare Soul recordings are to be found on many weird and wonderful labels from around the World. 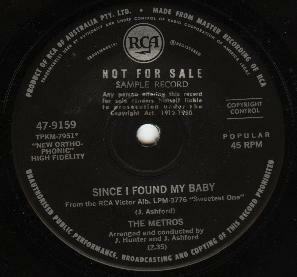 Apart from the more well documented UK, French, Spanish, Italian and German releases, one can also turn up Greek, Indian, Jamaican and indeed the subject of this page, Australian releases. 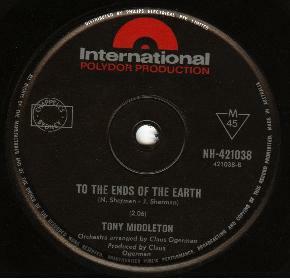 The following information has been supplied by Frank Driscoll, who has collected Australian 45's avidly and is probably the World authority on them. NOTE: The EP listing can also be viewed via the link above and was compiled from Frank, and fellow Oz native Phil Fare's, collections. 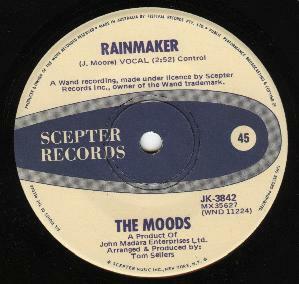 Wooden Nickels "Should I Give My Love Tonight"
Soldier", Parliaments "I'll Wait" and Tyrone Davis "You Can't Keep A Good Man Down". Bill & Sherry "I Believe", Dean Parrish "Tell Her", Ray Charles "I Chose To Sing The Blues" & "Don't Need No Doctor" and Tom & Jerrio "Boomerang". things. As you would expect these are very rare but they do turn up from time to time. Band "Cuz It's you Girl" and others. A small Melbourne based company who were responsible for some quite bizarre releases. 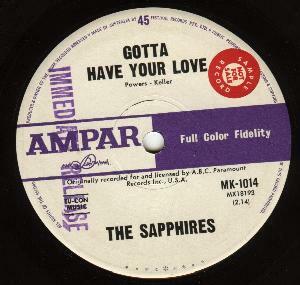 For a brief moment they held the rights to Gordy and released two singles, The Contours "Do You Love Me" and inexplicably Bunny Paul's "I'm Hooked". 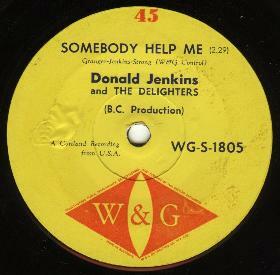 Donald Jenkins & The Delighters Cortland classic "Somebody Help Me" was issued in early 1964 , needless to say it didn't sell and is quite hard to pick up. 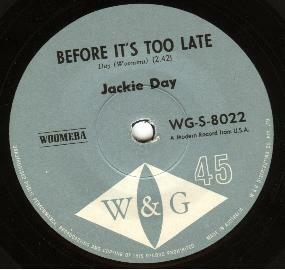 W&G must have had strong hopes for Jackie Day as they released "Before It's Too Late" on a single as well as on an E.P. 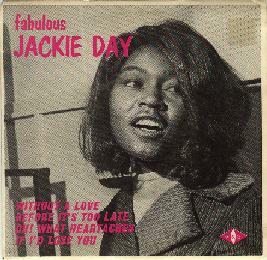 titled "Fabulous" which has a good B&W photo of Jackie on the cover and liner notes. 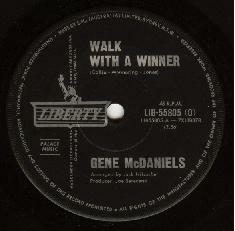 Other artists to have W&G releases include Bobby Bland, Arthur & Mary, Casinos, James Brown, Soul-Jers and Joe Hinton. 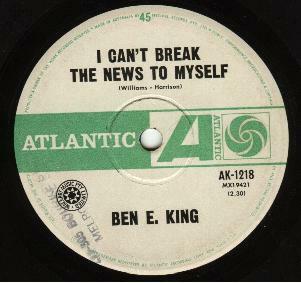 releases was Virgil Blanding's "You Turn Me Aroun' "
Sammy Turner "Our Love Will Grow And Grow"
and Penny Carter "He Can't Hurt Me No More". 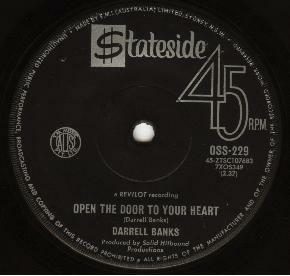 number of American labels as well as producing Australian artists. 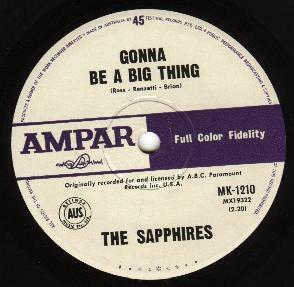 The Spinners Tri-Phi recording "That's what Girls Are Made For"
Love Slips Away", and The Alan Bown Set "Gonna Fix You Good". 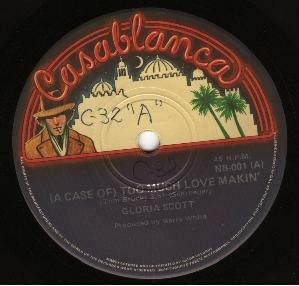 Gerri Diamond "Give Up On Love", Bobby Mann "Heart Of Town", Bettye Swann "Make Me Yours" and tracks from The Larks, Dobie Gray, Henry Lumpkin, The Packers, and Bobby Freeman. 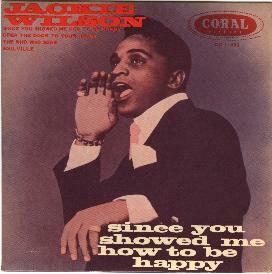 Australian singer Judy Jacques had a good version of Herb Fame's "You're Messing Up My Mind" released on the label. 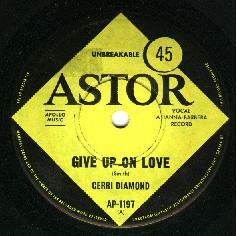 Astor pressed Kama Sutra records and releases include - Billy Harner "What About The Music" and "Sally Saying Something", The Del-Capris "Hey Little Girl", and "Love Don't Let Me Down", Carmen Taylor "You're Puttin' Me On" and Bobby Bloom "Count On Me". Brunswick. Garland Green had "Jealous Kinda Fella"
the bass line from "My Girl" to great effect. known to have surfaced. 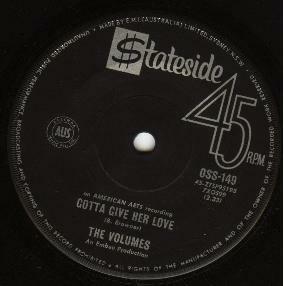 Copies of the single command a price tag in excess of $700, this was thought to be an Australian only release however it is reputed that it gained a release in Italy complete with a picture sleeve. 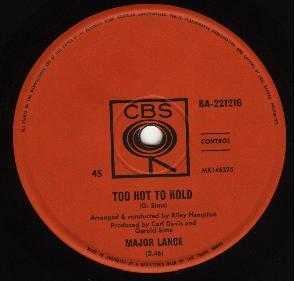 Sticking with those more recent releases (well only 25 years ago anyway! ), Capitol released Brown Sugar's "The Game Is Over" which is currently very popular. 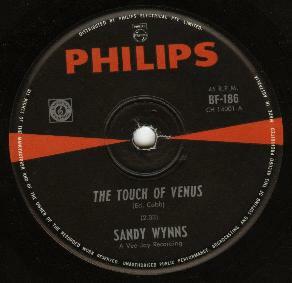 Earlier releases on the label included Nancy Wilson's "The End Of Our Love", "Uptight" and a few others. 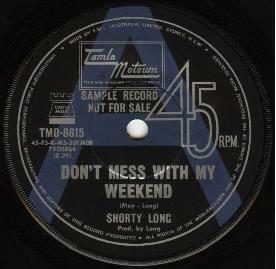 As well as some of Candi Staton's, Bettye Swann's, the infamous Human Beinz, loads of Lou Rawls, Timothy Carr and Tony Bruno's excellent "Small Town, Bring Down". EMI's Stateside label put out a few interesting releases among them are - Jessica James & Outlaws "We'll Be Making Out", The Volumes "Gotta Give Her Love", Bob Wilson "All Turned On", The Exciters "Wedding's Make Me Cry", The Beas "Where Do I Go From You", C.O.D. 's "Michael", Darrell Banks "Open The Door To Your Heart", Baltimore & Ohio Marching Band "Condition Red", O'Jays "I Dig Your Act" & "I'm So Glad I Found You", Mitch Ryder "Breakout", Dobie Gray "The In Crowd" and the Motown roster. records but not "You Just Don't Know". 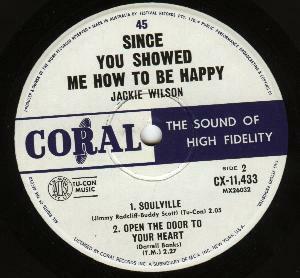 Jackie Lee "The Duck", Dee Dee Warwick "We're Doing Fine"and singles from Fred Hughes, Maxine Brown, Keith, Madeline Bell, Jay & Techniques and Jerry Butler, but wasn't very prolific in the amount of soul released. The Flirtations "Little Darling" and the wonderful "To The Ends Of The Earth"
Inez & Charlie Foxx and Cliff Nobles. 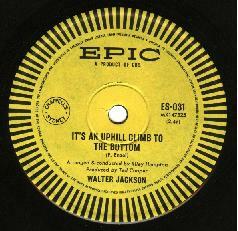 Whilst over on Epic, Nancy Ames "I Don't Want To Talk About It", The Poppies "He's Got Real Love" and Walter Jacksons "Uphill Climb To The Bottom" are the three standout issues. Incidentally Epic's first release was Richard "Popcorn" Wylie's "Come to me". 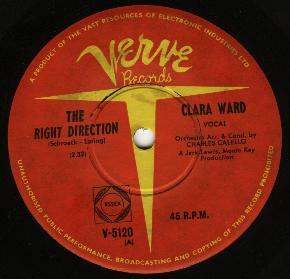 Over a hundred records were released on the Australian Chess label and they include issues from Jackie Ross, Tony Clarke, Bobby McClure, Soulful Strings etc. 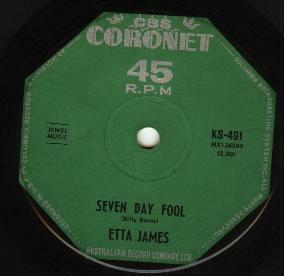 The Label also featured Etta James, however earlier releases appeared on CBS Coronet and it's on that label that "Seven Day Fool" was released.